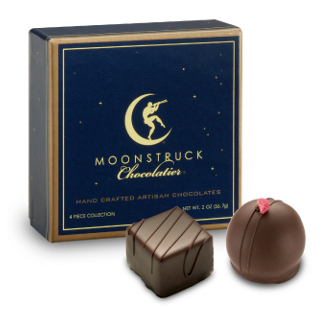 Featuring Four Moonstruck truffles. These truffles are hand crafted with a passion for creative and innovative flavors. Made with the world's highest quality of cocoa beans known for their exotic and tantalizing aromas.